KishaRose: Distressed: Hit the Tracks! Happy Friday loves! My has this month flew by... Before you know it July will be approaching. So let's get to it. Today's look is all about distressed denim. I just love how you can dress distressed denim up or down. 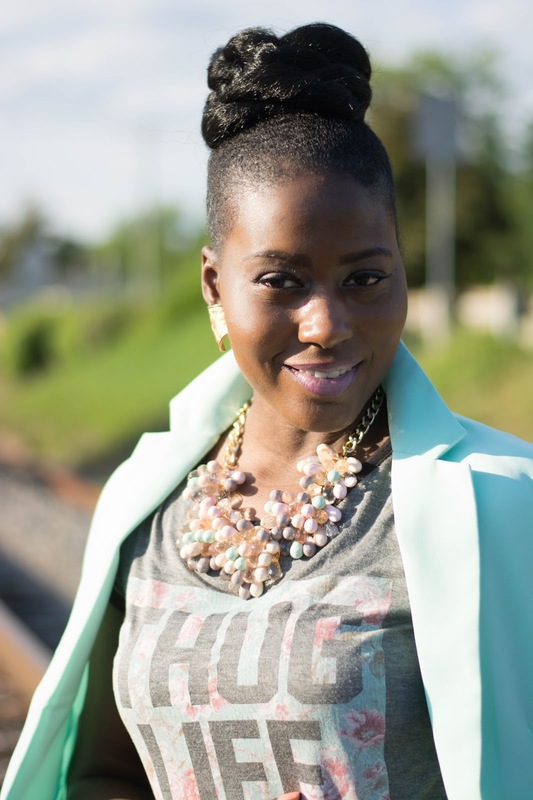 I went for a chic street-style / prim and prissy with a edge! There was no other way to complete this look than to "Hit the Tracks"
Totally in awe with JustFab's Monika pumps, these cuties sealed the deal to this prim / priss street style. Wouldn't you agree? I have to say so myself. 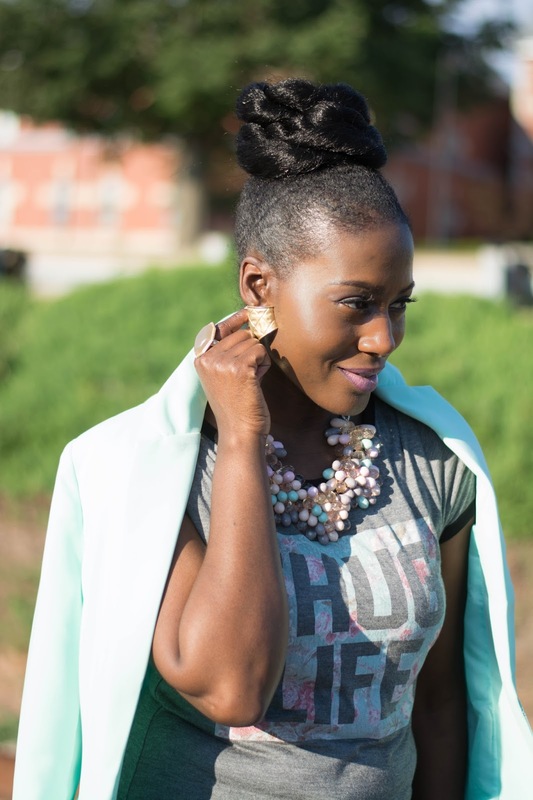 This look can be worn to any occasion, date night, girls night out, mommy and me day with the kiddos and grocery shopping. You name it and I conquer! Again, loving these Monika Pumps head on over to JUSTFAB and get the look! They come in various colors and enjoy being complimented! 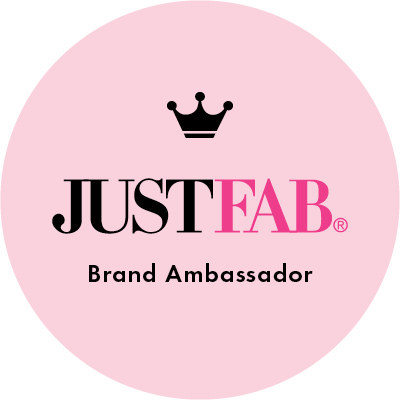 Sign up today by clicking the JUSTFAB link to become a VIP and get 50% off your purchase. 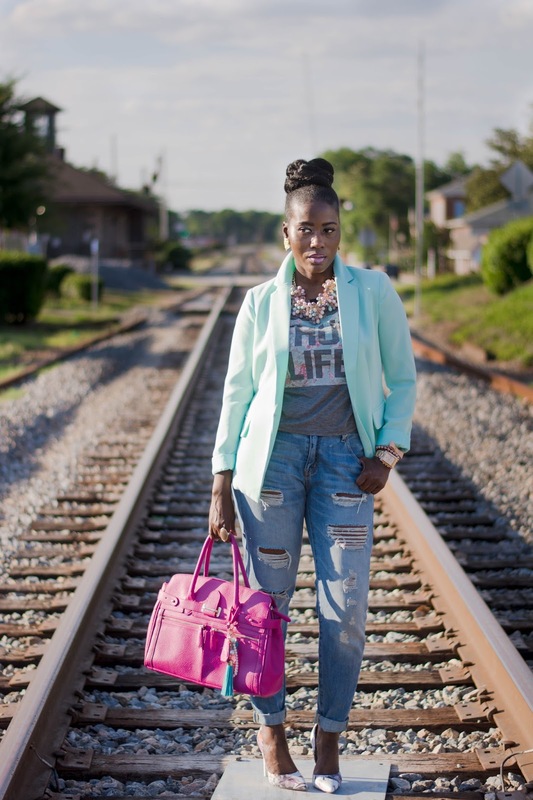 Will you Hit the Tracks in your street style? I say go for it. Fabulous occurs everyday in this fashion world. Why not partake? 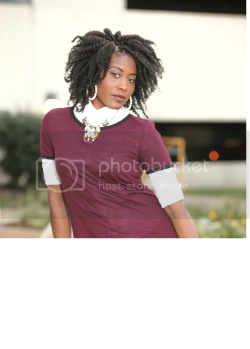 Tag me with your looks @KishaRose on instagram and Twitter @kisharoseatl. Great look my dear friend. 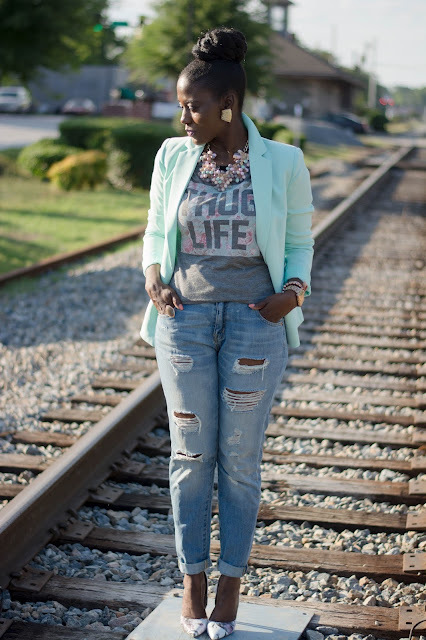 That mint blazer just screams Summer! Hi sis! Thanks so much for stopping by! My exact thoughts of the blazer. 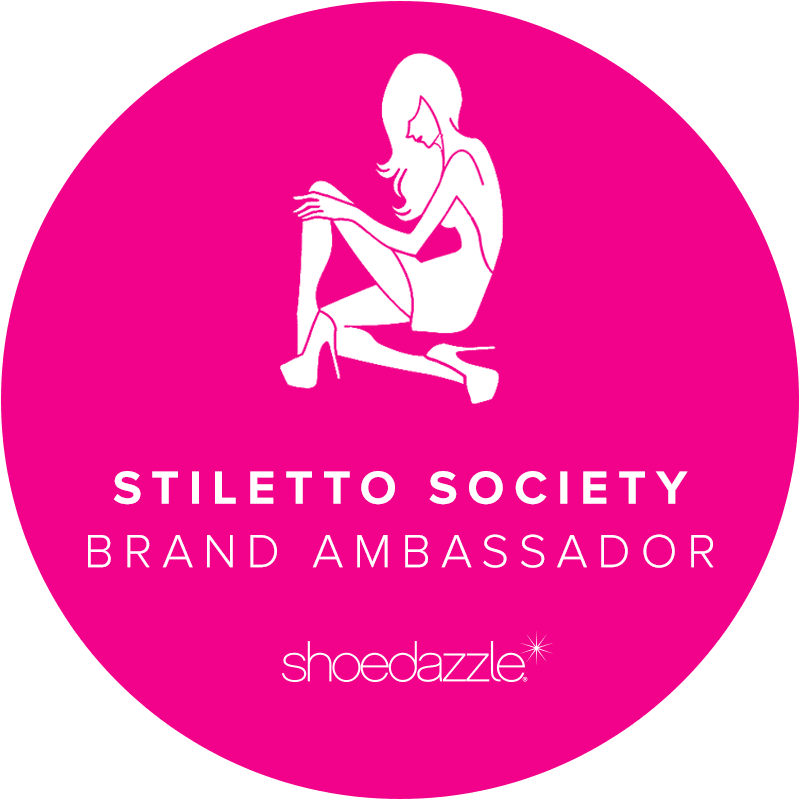 What a great piece from ShoeDazzle!